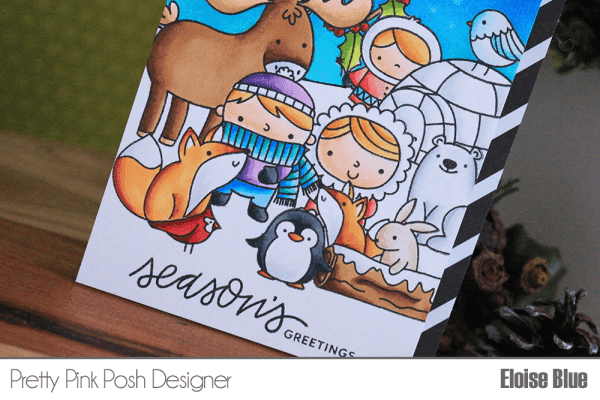 Hi everyone, the past couple of weeks I've had some videos for Pretty Pink Posh, below are the links to the posts and videos for last minute Christmas card and tag inspiration! The first card I have to share is a one layer panel card using a ton of images from different Pretty Pink Posh winter stamp sets. The video tutorial is down below. 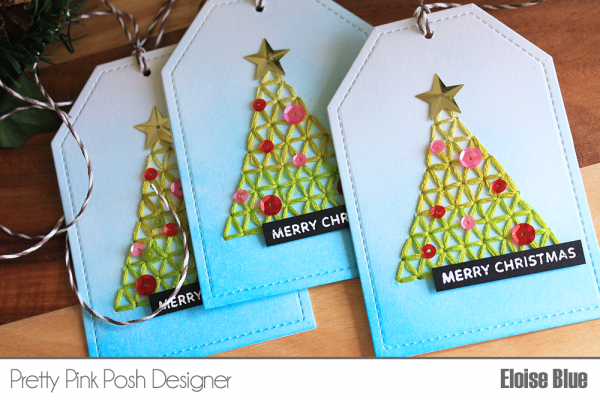 The next project I have to share with you all is some Christmas Stitched Tags. I used the Sparkle Dot Patterns 1 stamp set to create a Christmas Tree shape that I stitched with different shades of green thread. Again, the video is linked down below. Thanks for stopping by today and check out the blog for more inspiration on each of these projects! These are great cards Eloise. Well done. Your set of tags is great !